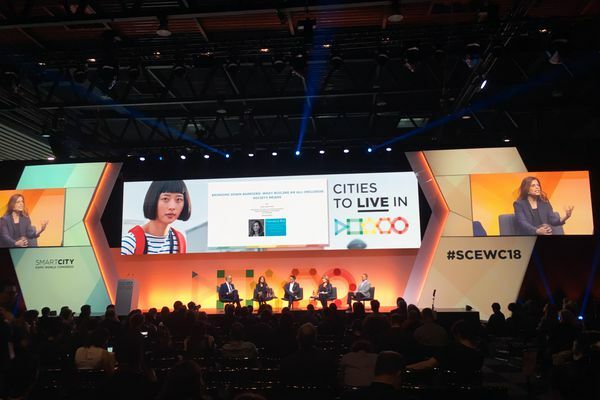 The 2018 Smart City World Expo took place in Barcelona in November. As the “smart city” concept catches on worldwide, it continues to divide opinion. Digital technology to enhance the welfare of citizens, Big Brother dystopia or snazzy city marketing label? “… competing visions of the smart city are proxies for competing visions of society, and in particular about who holds power in society,” author Steven Poole wrote in The Guardian in 2014. Although recent years have seen a broader approach to tackling environmental and societal issues, how will the smart city take on challenges such as rapid urbanization, population growth and housing shortage, exclusion and growing inequality, climate change adaptation and infrastructure needs? And how will smart city technologies and governance affect the way we design our cities? 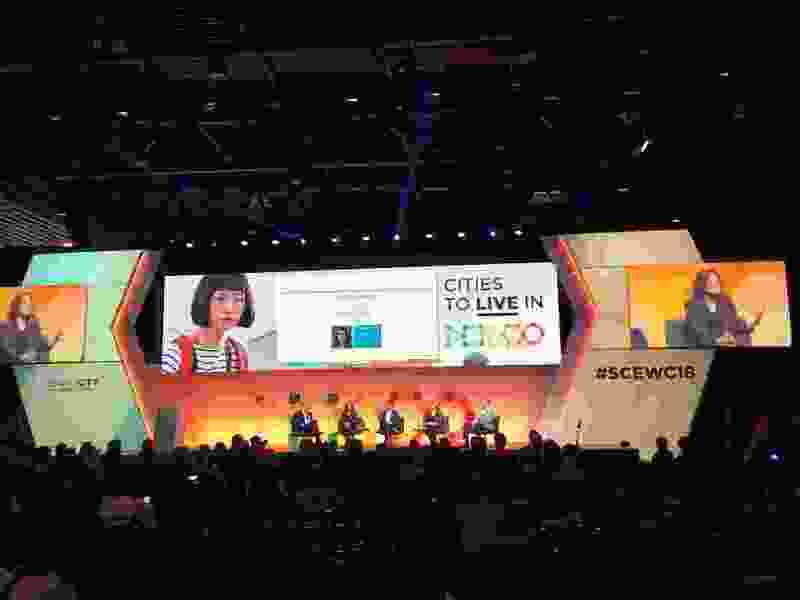 These were some of the questions that were debated at the Smart City Expo World Congress and various side events, recently held in Barcelona, including the C40 Talks session ‘Cities Getting the Job Done,” the 2018 Sharing Cities Summit and the 2018 edition of Barcelona Resilience Week, with the participation of more than 2,000 visitors and 700 cities. New forms of mobility, transport sharing systems and applications for parking and other services are reorganising our streetscapes. With cities increasingly promoting public transport, walking and cycling, including e-bikes and scooters, existing parking space and traffic lanes are being transformed into civic spaces, as seen with the example of Barcelona’s superblocks. The advance of e-commerce and food delivery services is another major influence on our public spaces. How exactly future mobility concepts will transform Australian cities over the next few years is uncertain, but the digital revolution will be played out on the streets. Adam Beck, executive director at the Smart Cities Council Australia New Zealand (and a participant at the Expo), pointed out the importance of design professionals and other citymakers collaborating and engaging with smart city initiatives. The council last year joined forces with AILA and the IoT (Internet of Things) Alliance Australia for the Future Street project to explore the design opportunities created by the introduction of autonomous vehicles, smart city technology and green infrastructure. Sensors, monitoring systems and IoT technology, such as smart lighting and smart irrigation, enable the creation of more water and energy efficient urban environments, though regulations and government strategies are important to ensure standards are put into place. Mandatory green roof regulations led to a reduction of 40% stormwater discharge at the City of Stockholm’s the Royal Seaport. The site is also the subject of various research studies focusing on the project’s energy systems, source-separating waste water systems, and the waste reduction mechanisms and innovative treatments of contaminated soil during the port’s construction. With more data now available to the public, citizens and designers need additional tools to access and interpret this data. An increasing number of software applications facilitate the processing of satellite data, geodata, sensor readings, social media feeds, and crowd-sourced and statistical data related to demographics, social behaviour, climate change and rising sea sea levels. Lobelia, business unit of the Catalan company isardSAT translates data into assessments of climate change risks and vulnerability. This information can in turn be used by landscape architects when considering potential land uses, the necessity of designing for flood prevention or when selecting suitable plants and agricultural practices for the site. Privacy issues and data protection, as well as the ownership, privatisation and monopolisation of data remain cause for concern, and need to be considered and monitored closely. Good governance and the building of trust between the public administration, private industry and citizens has been consistently cited as crucial to ensure the sustainable and ethical use of data. As a result, cities have begun the process of sharing data and a rising number of data collection platforms are emerging. An example of this was presented by City of Melbourne councillor Susan Riley who spoke about the city’s open data program – a data policy that strives for open, accessible and safe standards. Within this framework, citizen engagement and collaboration with designers and creative professionals were seen as key priorities. Melbourne’s Urban Forest Strategy (although not presented at the Expo) can be viewed as a further example of the city’s policies on knowledge sharing, open access to data and citizen participation. Creating smart cities is increasingly seen as creating inclusive cities through citizen engagement, dialogue, empowerment and co-creation. The question of how urban planning might benefit from communal and interactive practices through tools for online participation and other technologies was tackled by Finnish and Norwegian architecture and urban design company Nordic Works, and software development studio Maptionnaire. Citizens here are seen as actors rather than clients, and are involved through all project stages from the testing of ideas to their implementation. However, social inclusion also means digital inclusion and with the advance of online tools and technologies designers and citymakers must ensure they engage with marginalised and vulnerable groups to avoid exclusion from these processes. Smart cities, like design, should be user-centric. Throughout the Expo there was a general consensus in acknowledging that technology can only ever be as good as its users. Citizen-led smart cities and technologies can create exciting opportunities for a rapidly urbanizing society. Yet the complexity and magnitude of the challenges ahead suggest that beyond technological advances, good governance, management and good design are more important than ever. 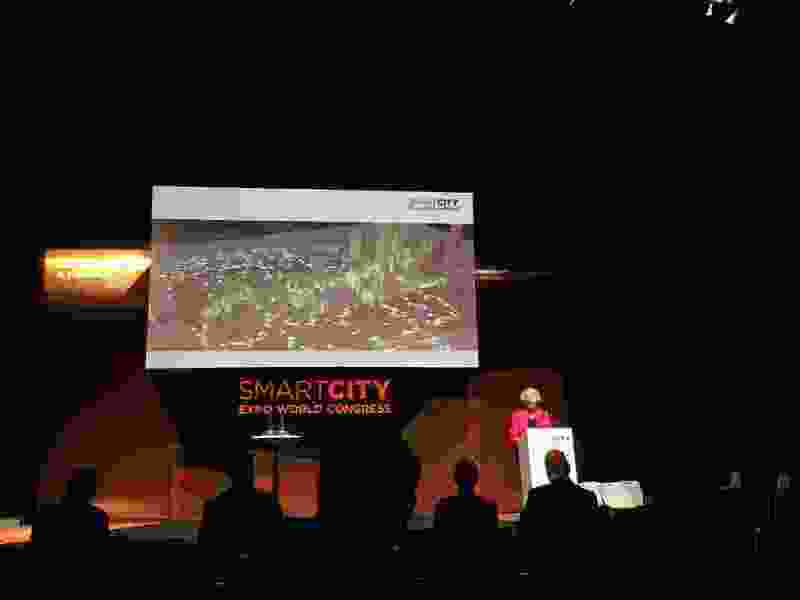 The Smart City Expo World Congress took place in Barcelona 13–15 November 2018. City of Melbourne councillor Susan Riley presented the city’s open data program at the 2018 Expo.